The college population is changing and the traditional college student—between the ages of 18-22, living on campus, working part time if at all, pursuing education for its own sake rather than as vocational training—is no longer the norm. Increasingly students are balancing school with demanding home or work lives, and seeking education as a stepping stone to employment in a competitive workforce. These students are bringing new expectations to the classroom, which raises new challenges for faculty members and institutions of higher education. How can we balance the changing needs of 21st century students with the longstanding goal of the academy to provide a substantive educational experience? The growing presence of adult students and students with significant commitments outside the classroom (such as children and full-time work) is transforming the make-up of our college populations. Recent (2008) statistics show that 47% of college students are independent adults over 24—some are married, others are military veterans, and many are responsible for legal dependents other than a spouse. How can we successfully teach these students who are stretched thin by their many commitments both inside and outside the classroom? Moreover, the reasons why students attend college are changing. Even students of traditional college age are affected by economic concerns; their mindset is more pragmatic, and they are less interested in knowledge for its own sake. After the economic downturn in 2008 this attitude has only become more pronounced, creating a tension between the traditional goals of liberal arts education and students’ legitimate concerns about future employment. What teaching and learning strategies can we use to help today’s practical students make connections between what they learn in the liberal arts classroom and the critical skills they will need to be successful in their careers and in their role as engaged citizens? How can we ensure that our professional majors prepare students for the working world not only in terms of specific skills, but also in terms of communication, problem solving, and ethical decision making? Finally, how can we help to keep learning at the center of the college experience? 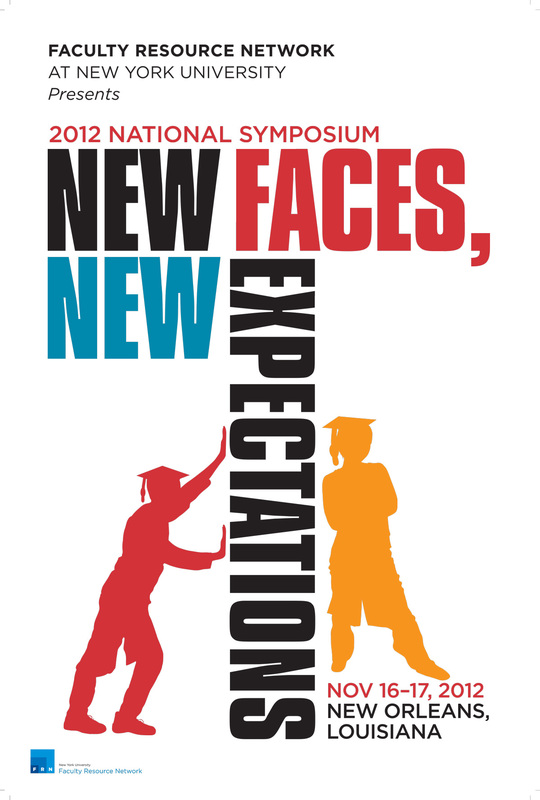 In November 2012 faculty members and other representatives of Faculty Resource Network institutions addressed these questions and issues during a national symposium on “New Faces, New Expectations,” hosted by Dillard University and Xavier University of Louisiana in New Orleans, Louisiana. In this tenth issue of our online NETWORK: A Journal of Faculty Development, we present excerpts from a number of the presentations that were delivered during that symposium. Excerpts from a presentation by Robert M. Kahn, LaGuardia Community College. Excerpts from a presentation by Heather Bryant, Jane Collins, and Deborah Poe, Pace University. Excerpts from a presentation by Josef Vice and Stephanie Lewis Thompson, Kaplan University. Excerpts from a presentation by Carol A. Davenport and Marsha Walker, Johnson C. Smith University. Different Views of the World: What Do Students Choose to Study When Given the Opportunity? Excerpts from a presentation by Nicola Davis Bivens, Anita Bledsoe-Gardner, Melissa Knosp, Thomas B. Priest, and Deborah Brown Quick, Johnson C. Smith University. Excerpts from a presentation by James P. Lawler, Pace University. Excerpts from a presentation by Lilleth Newby Beckford, College of New Rochelle. Excerpts from a presentation by Rhonda McCoy, Elizabeth Siciliano, and Marva Stewart, Paine College. Excerpts from a presentation by Dezette C. Johnson, Johnson C. Smith University. Excerpts from a presentation by Rosemarie Serrano, Westchester Community College, Richard (Roy) Tietze, Marymount Manhattan College, and Michael White, Xavier University of Louisiana. Excerpts from a presentation by Gerceida Jones, New York University. Excerpts from a presentation by Jane L. Indorf and Michael S. Gaines, University of Miami; Jean Chmielewski and Christine A. Hrycyna, Purdue University; Katerina V. Thompson, University of Maryland, College Park; William R. LaCourse and Kathy L. Sutphin, University of Maryland, Baltimore County. Excerpts from a presentation by Alice E. Stephens, April D. Lundy, and Andrew Will, Clark Atlanta University.